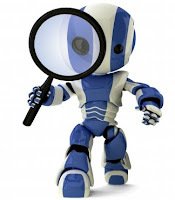 BlogCoach: Grow Your Blog: Can Meta Tags Help Search Engines Find You? Can Meta Tags Help Search Engines Find You? This post on meta tags was prompted by a couple of requests for more info on how they might be used to build blog traffic. Meta tags are little bits of html stuck near the top of your blog template that give search engines extra information about your blog. The truth is, you don't need meta tags; they won't really help your page rank, and search engine spiders will find your site without them. They do, however, offer you a little more control over when your blog pops up in searches. Meta tags placed near the top of your template in the <head> section may help search engines more accurately index your site. If your blog's title isn't particularly descriptive of your blog's subject matter, for example, adding meta tags is a good idea, since it lets you control what search engines think your site is about. Why leave something that important up to robots? The first part, the "description" portion (in red, above), tells search engines what your blog is about. Some search engines use it as the description that's listed under our blog's title on the search engine results page (so consider it well). The second part, the "keywords" section (in blue, above) lists words that users may type in to search engines to find your blog. Your blog stats will tell you which keywords readers are currently using to find you. You could stick with these or throw in some new ones to try to corral some traffic you're currently missing out on. Don't worry, you don't need to craft your own code. To add meta tags to your template, try this Meta Tag Generator. Just type in your info and the generator produces the html that you'll stick in the head section of your template. Much easier than futzing around with the code yourself.